While supernovae are the most dramatic death of stars, 95% of stars will end their lives in a far more quiet fashion, first swelling up to a red giant (perhaps a few times for good measure) before slowly releasing their outer layers into a planetary nebula and fading away as a white dwarf. This is the fate of our own sun which will expand nearly to the orbit of Mars. Mercury, Venus, and Earth will be completely consumed. But what will happen to the rest of the planets in the system? While many stories have suggested that as the star reaches the red giant phase, even before swallowing the Earth, the inner planets will become inhospitable while the habitable zone will expand to the outer planets, perhaps making the now frozen moons of Jupiter the ideal beach getaway. However, these situations routinely only consider planets with unchanging orbits. As the star loses mass, orbits will change. Those close in will experience drag due to the increased density of released gas. Those further out will be spared but will have orbits that slowly expand as the mass interior to their orbit is shed. Planets at different radii will feel the combination of these effects in different ways causing their orbits to change in ways unrelated to one another. This general shaking up of the orbital system will result in the system becoming once again, dynamically “young”, with planets migrating and interacting much as they would when the system was first forming. The possible close interactions can potentially crash planets together, fling them out of the system, into looping elliptical orbits, or worse, into the star itself. But can evidence of these planets be found? A recent review paper explores the possibility. Due to convection in the white dwarf, heavy elements are quickly dragged to lower layers of the star removing traces of elements other than hydrogen and helium in the spectra. Thus, should heavy elements be detected, it would be evidence of ongoing accretion either from the interstellar medium or from a source of circumstellar material. The author of the review lists two early examples of white dwarfs with atmospheres polluted in this respect: van Maanen 2 and G29-38. The spectra of both show strong absorption lines due to calcium while the latter has also had a dust disk detected around the star? But is this dust disk a remnant of a planet? Not necessarily. Although the material could be larger objects, such as asteroids, smaller dust sized grains would be swept from the solar system due to radiation pressure from the star during the main sequence lifetime. Much like planets, the asteroids orbits would be perturbed and any passing too close to the star could be torn apart tidally and pollute the star as well, albeit on a much smaller scale than a digested planet. Also along these lines is the potential disruption of a potential Oort cloud. Some estimates have predicted that a planet similar to Jupiter may have it’s orbit expanded as much as a thousand times, which would likely scatter many into the star as well. The key to sorting these sources out may again lie with spectroscopy. While asteroids and comets could certainly contribute to the pollution of the white dwarf, the strength of the spectral lines would be an indirect indicator of the averaged rate of absorption and should be higher for planets. Additionally, the ratio of various elements may help constrain where the consumed body formed in the system. Although astronomers have found numerous gaseous planets in tight orbits around their host stars, it is suspected that these formed further out where temperatures would allow for the gas to condense before being swept away. Objects formed closer in would likely be more rocky in nature and if consumed, their contribution to the spectra would be shifted towards heavier elements. With the launch of the Spitzer telescope, dust disks indicative of interactions have been found around numerous white dwarfs and improving spectral observations have indicated that a significant number of systems appear polluted. “If one attributes all metal-polluted white dwarfs to rocky debris, then the fraction of terrestrial planetary systems that survive post-main sequence evolution (at least in part) is as high as 20% to 30%”. However, with consideration for other sources of pollution, the number drops to a few percent. Hopefully, as observations progress, astronomers will begin to discover more planets around stars between the main sequence and white dwarf region to better explore this phase of planetary evolution. I’ve always kind of wondered how planets would survive a cataclysmic event, even one as powerful as a supernova. Supernovae are very powerful explosions, but would those even be enough to destroy even a Earth-sized planet? It might certainly shatter them, but what are the odds they would be outright destroyed? I don’t have any of those answers, but I’ve always been curious. The main theory of post-supernova planets, which have been detected by pulsar timing studies, is AFAIU that they didn’t survive. New planets may assemble from the shattered remains, likely in much the same way original protoplanetary dust rings assemble planets. But yeah, I’m curious about those explosions and their neighborhood too. Looks like we finally will get some answers, at least on the basic possibility for migration survival in ‘similar’ circumstances. Pulsar planets are formed after the supernova. I don’t think much survives a supernova. It does appear a binary partner star will survive, but a tiny planet does not. Earth appears destined to contribute to the dense degenerate matter of a white dwarf star, which will dim away into a black dwarf. I did not realize plants migrate outward so drastically at the end of a star’s life. 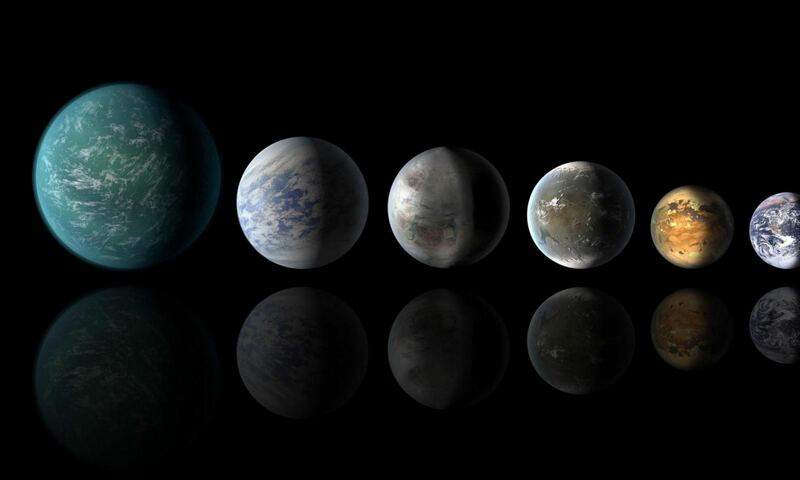 Does this alter Earth’s habitability projections? Or will the drastic alterations occur after conditions become too hot to sustain life? Previous PostPrevious Why Is The Sunset Red?